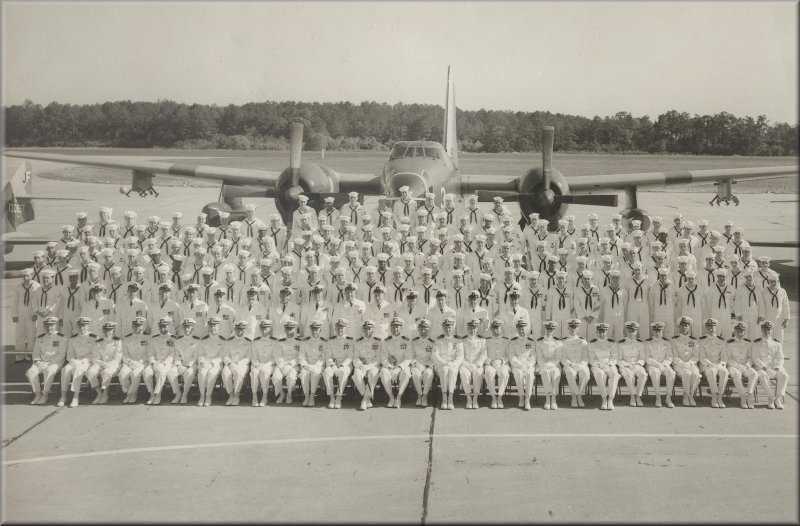 Our mission at Oceana was to provide target service to the Fleet Training Center at Dam Neck. 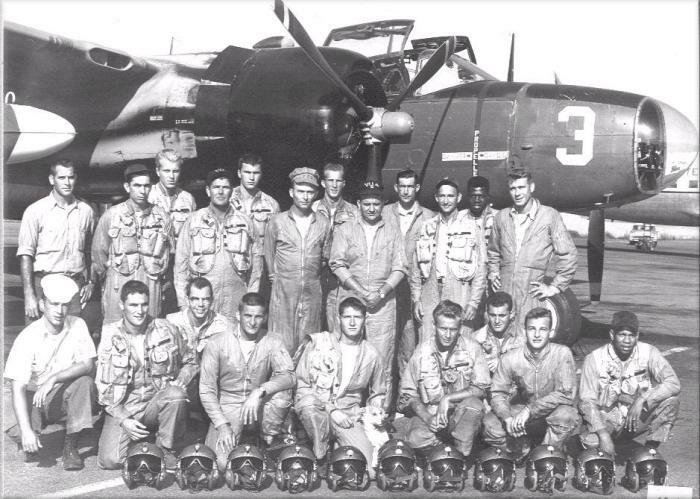 Our main tow aircraft was the JD-1, which was the Navy designator for the Army Air Corps A-26 Invader. The Army version had multiple fifty caliber machine guns. There was a bank of eight in the nose, six on the wings, and four more in remote controlled ball turrets on the empennage. All the guns were removed, and the hydraulics from the lower turret were redirected to operate the tow reel. The tow reel held about eight thousand feet of steel cable. The targets were big nylon sleeves in various colors. The reel operators sat in the after station and rigged the targets and operated the tow reel. 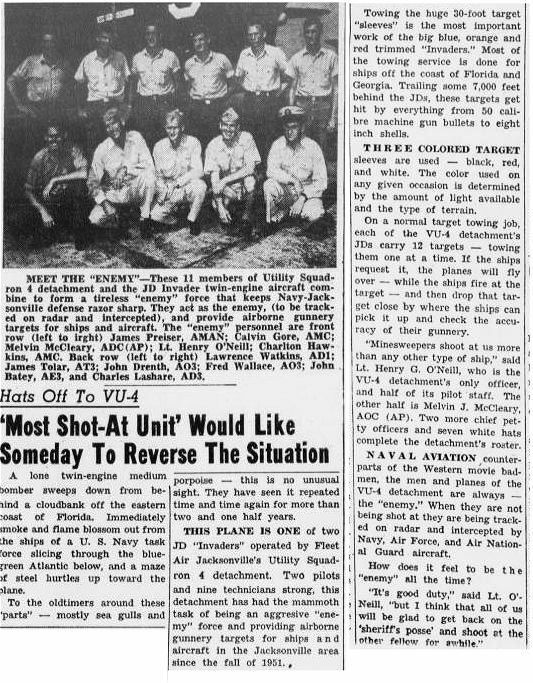 Even though the gunners were briefed on the details of the target session, every so once in a while, the planes came back with shrapnel damage. We also used the FJ-3 and FJ-4 Fury as a tow plane. This was a single place aircraft, so the pilot had to do it all. 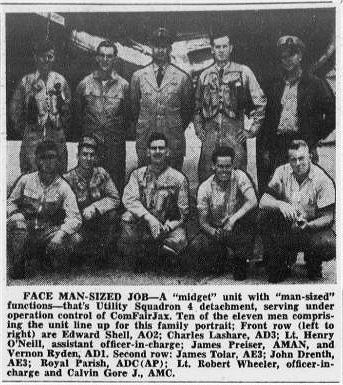 The tow rig was called a "Del-Mar" pod and was carried on one of the wing stations. The FJ series were similar to the F-86 as used by the Army Air Force, but heavier, and therefore slower, due to the catapult and arresting gear fittings. They engine was a rather mild Allison J-35 axial flow, with a thrust rating around four thousand pounds. Not much by today's standards. The fury was an interesting aircraft to work on, it was very compact, and the electronics were stuffed away in extremely cramped spaces. Engine replacement required the aircraft to be separated in two pieces, the tail section was supported on a special cradle which allowed it to be wheeled away. Then another rig was attached to the fuselage, and the engine slid back on rails.